Being a savvy reader, you probably noticed a few potential problems with that fantasy. Not only is it challenging to find a great development team, but a lot of folks forget that having an app means having a business. And as with any business: If no one knows about it, no one will pay for it. So marketing and “growth hacking” play an essential role in the growth of your business. At Messapps, we’ve designed and developed over 100 apps for our clients, and we’d like to share some of the most powerful strategies we’ve learned along the way about mobile app marketing. If you’re building an app, you still need a website. Besides social media, there aren’t many ways to generate pre-launch buzz, so that’s why having a website is key. Plus, it opens up a whole other marketing channel—by optimizing your SEO and launching ad campaigns you can drive traffic to the app through its website. The app’s name and logo. Seems like a given, but you’d be surprised by how many leave these out. Screens from the app. Put design graphics of your app screens inside an actual device so that users can visually understand right away that you’re talking about an app and not any other type of software. Your app pitch. Explain what the app does and why someone should download it. Bonus: A video showing how the app works. If in 30 seconds you can convince people to download the app, then a video can drive a lot of downloads for you. A call to action. Before the launch of the app, the CTA can be an email signup field to help you gather a potential user base that you can notify on the day of the launch and drive downloads right from the first day. To make sure your call to action is appealing enough, add social proof to it—some testimonials or reviews from other users. Show that there are lots of people who would benefit from your app. Before launch, you have just two ways to promote your app online: website and social media. Use both of them to your full advantage. With social media, you can promote your app, get users to subscribe to your mailing list, and you can even chat with them directly. More than half of users download an app after searching for a certain keyword in the App Store—that means optimization is key. 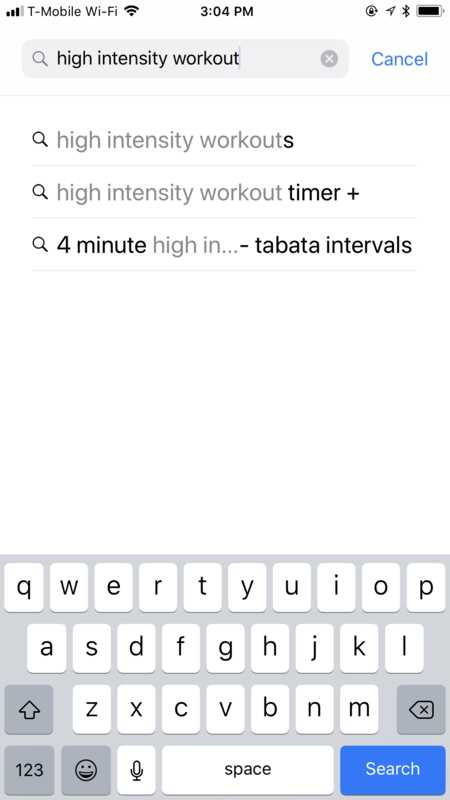 It’ll determine whether you’re listed as number one or number 101 when someone searches for “high intensity workout app,” for example. App Store optimization can be divided into two important components: textual and visual. Textual includes optimization of the name (now slogan), keywords, and description. Visual optimization includes the icon, screenshot and app preview video. Start with keywords—find the ones that have the right balance of traffic and difficulty. For example, “fitness” might have lots of traffic. Let’s say we can score its traffic at 9 on a scale of 1–10. “High intensity workout” might have only a traffic score of 2 on the same scale. But how many people do you think look at more than 10 apps when they see the list of results? Not many. So instead of focusing on keywords with lots of competition, choose ones that have less traffic but also don’t have that much competition. This will ensure that you rank among the first ones and hence get traffic sent your way. 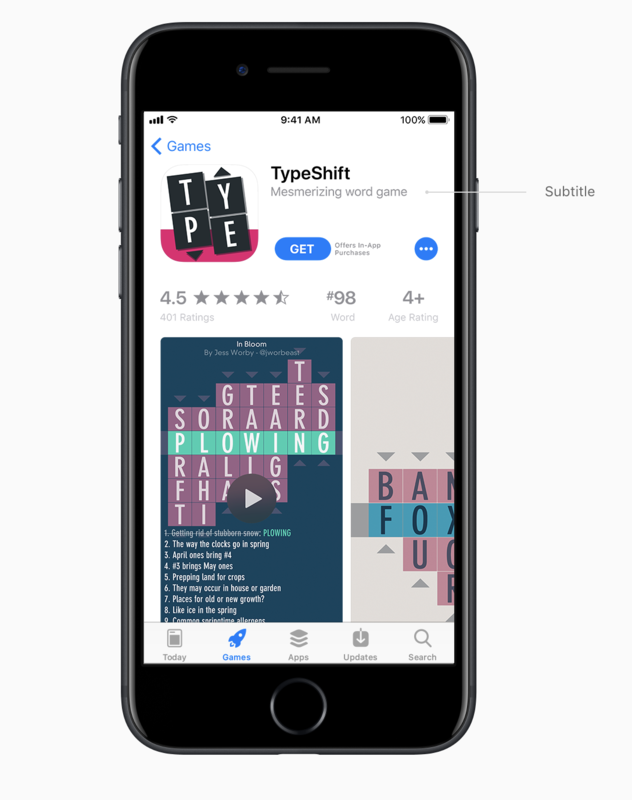 Since the launch of the new App Store in iOS 11, apps now have a “subtitle”—and the subtitle is a major keyword. Whatever you put there will be considered a keyword, and you’ll show up for it in the rankings. Include your strongest keywords in your subtitle. Image from Apple. Read more. A strong description includes keywords—and its written in such a way that it converts users. 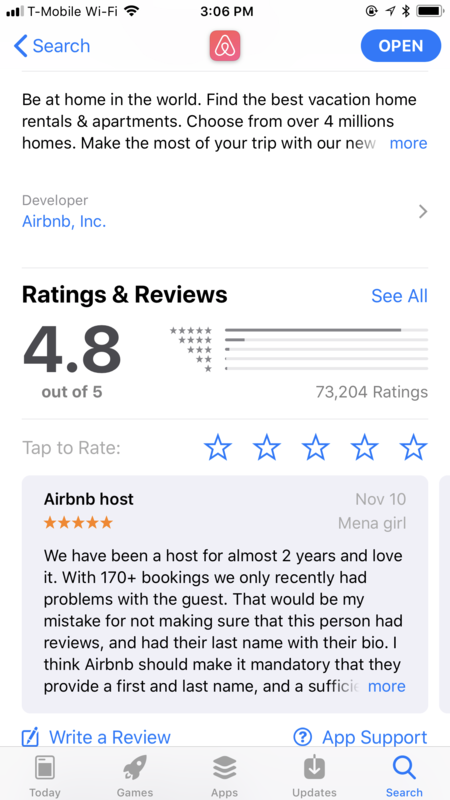 By default, people will see only the first few lines of the description text, so use those lines to give the best reason to download your app—its awards, its great reviews, or just a one-sentence summary of its main benefit. Use those first few lines to attract attention and convince people to download it. It’s the first thing people will see, so make sure your icon is original, different, and appealing. 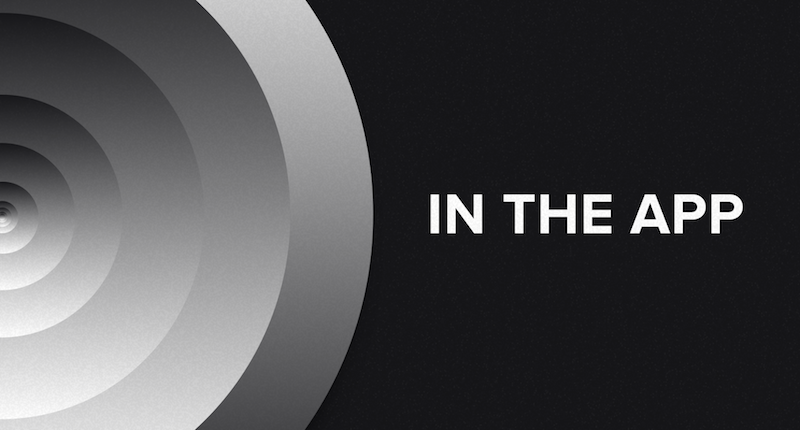 Even better: Use the icon to demonstrate what your app is all about. 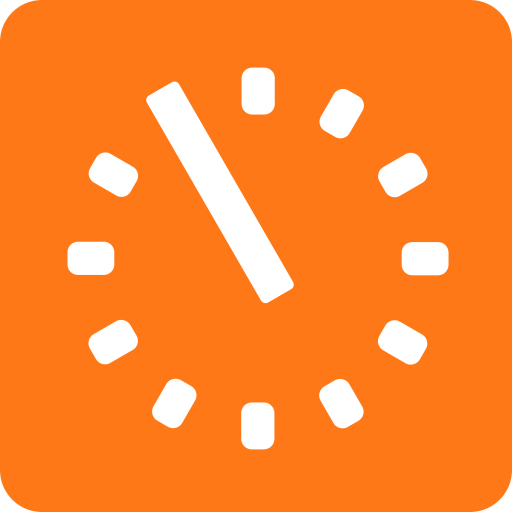 For example, Amazon’s Prime Now app icon is a clock. Here’s the thing: People usually skip the app description to look at screenshots. But if your screenshots are just images without any text, then it is likely to hurt your conversion rate because people will be confused about what’s on those screens. 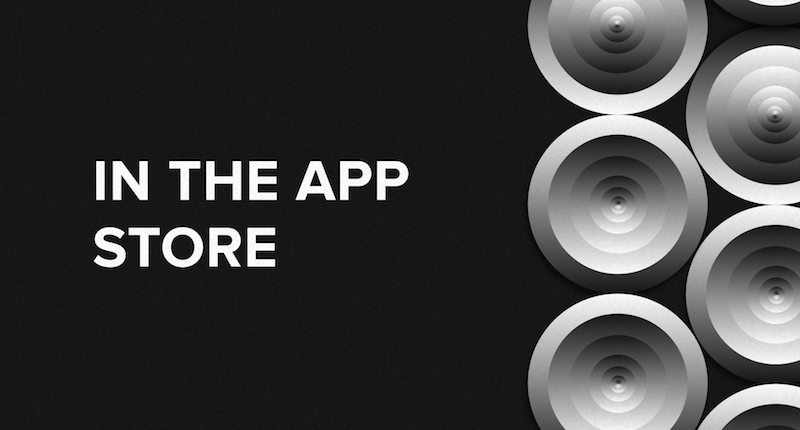 Use your five screenshots with text on them to provide five good reasons to download your app. Ever since Apple added the app preview video feature, it’s become one of the best ways to convince people to download an app. Just note that there are some limits to what you can do with the video. Mainly this relates to the fact that the video should be no more than 30 seconds in length, and it should consist of mostly in-app footage. You won’t be able to actually show people holding the phone with your app, but you can show a walkthrough of the app with voiceover narration. 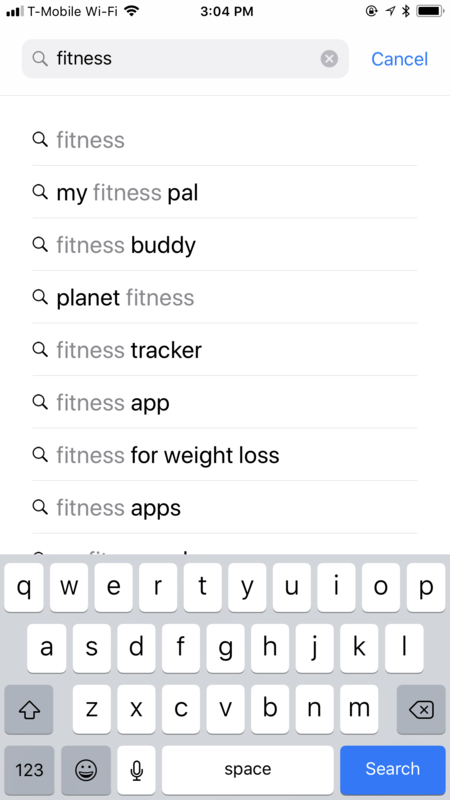 The names of in-app purchases are also considered keywords, so name them in a way that includes some of your important keywords. Same goes for your legal company name. If you’re forming a company for your app that sells concert tickets, consider including the word “tickets” in the company name to boost your rankings. Want to achieve explosive growth? You need to make your users your biggest advocates and let them promote your app for you. This requires creating a high-quality app that people truly love to use. But unless you show people how they can express their appreciation for the app, they won’t help you promote it. 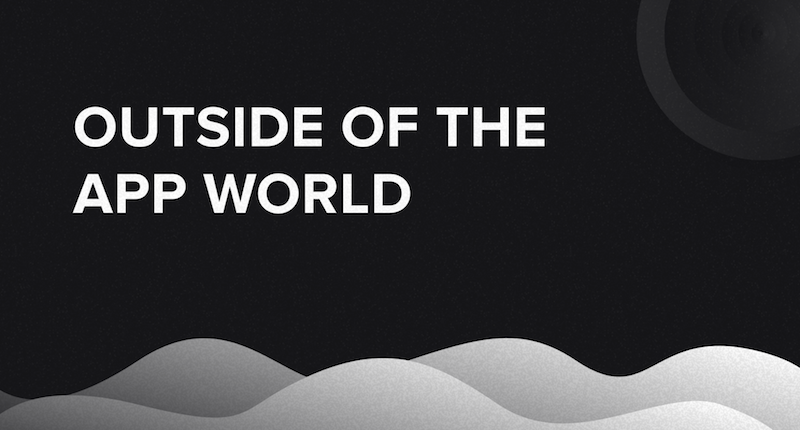 So you’ve got to set things up in a way that motivates people to promote your app. The two best ways to do this are: referrals and reviews. Let’s think about Dropbox. One of the reasons they were able to grow so quickly is that they gave customers the ability to easily invite a friend or colleague to use the service. And when someone accepted an invitation, they’d get a free account—and the giver would get more free storage. Who wouldn’t make a referral under those circumstances? Mutual benefit referral strategy is a win-win for everyone! Or consider the wildly successful app Candy Crush. One of the reasons it was so huge is that when you “lost your lives,” you could get more by asking your Facebook friends. Give a valuable reward to people who refer their friends. For example: free storage, free trial, credits or tokens to spend on additional content in the app, etc. Give a valuable reward to those who are being referred. The award must be mutual for maximum results. Proactively ask for referrals. Just don’t rush this—only ask users for reviews and referrals when they’ve used your app for some time and you know they’re loyal. App reviews are perhaps the strongest indication of how well your app will do. 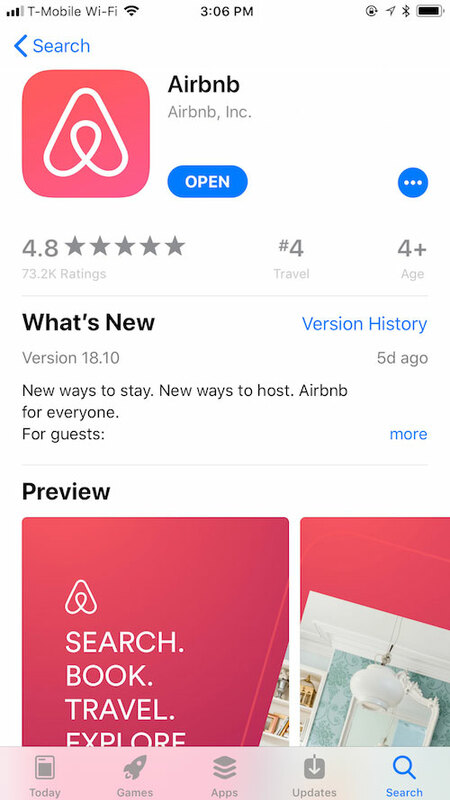 Apps with the best reviews will appear higher in search results, and users will also make a decision on whether to download the app or keep searching after they read what other wrote about it. So how do we get those who like our product to post a review and those who don’t like it to contact us instead of sharing their frustration with the world? First, we need to ask people to review it. The timing of this request is very important—it’s got to be when someone’s already used the app several times, never right when they first open it. Another thing about timing: Never interrupt user flow. For example, imagine you’re requesting a Lyft, and as soon as you enter the pickup point (and before you were actually able to request a ride) a review prompt shows up. Of course you’ll ignore it—you’re in the middle of trying to get a ride. A much better time would be either right after the car arrived or after you’ve already arrived at your destination. if someone gives you 1-3 stars, show a second prompt that asks what they think can be improved. Even the greatest app idea ever isn’t guaranteed to succeed once it launches. That’s why it’s absolutely essential to incorporate a marketing strategy into your plan as early as possible.